The Susman’s went to Europe and I got an amazing book about Lindt Chocolate. 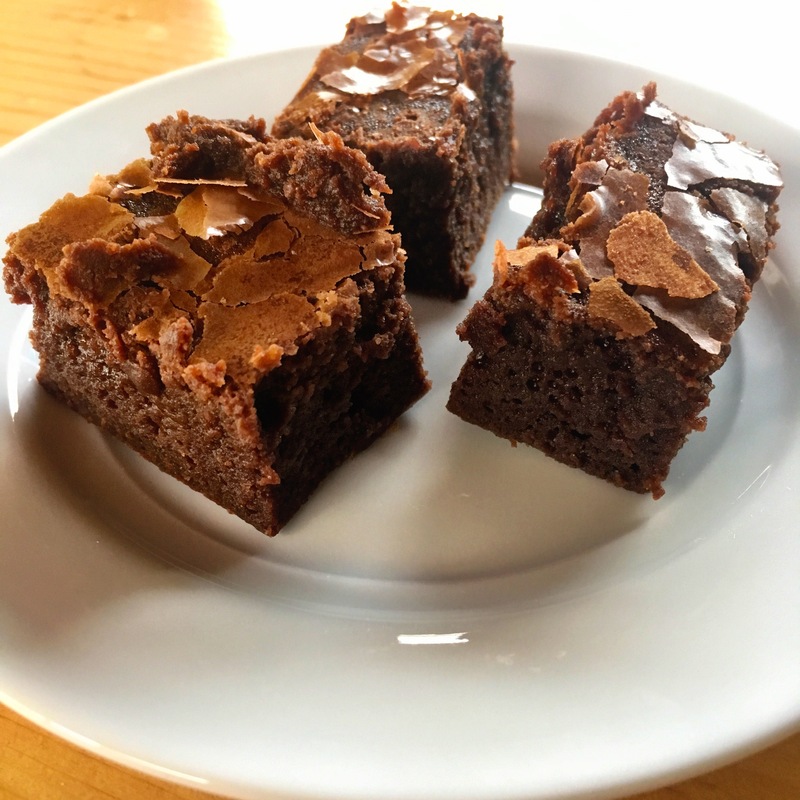 Here is there classic brownie recipe. Preheat oven to 350 degrees. Grease an 8 x 8 square baking pan and line with parchment paper. Melt the chopped chocolate and butter stirring constantly. Remove from heat and let cool. Beat together eggs, sugar, vanilla, and salt until well combined. Add the melted chocolate and eat gently by hand until evenly incorporated. Pour the mixture into prepared pan and bake about 20-25 minutes.